Supporting constituencies back here in the UK is just as important as the work I do in the EU. 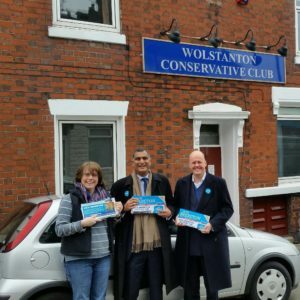 I was excited to be campaigning in Stoke-on-Trent on the 9th February to help local member, Jack Brereton, campaign around the area. Jack is a fantastic candidate but it will be a tight contest. If we can get more support in Stoke then I am confident, the votes will speak for themselves. The election is on the 23rd February 2017, so if you are a local, don’t forget to vote.